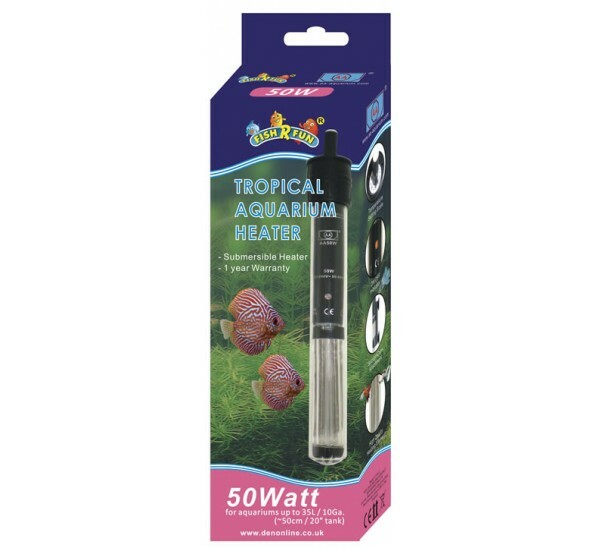 The Fish R Fun 50 Watt Tropical Aquarium Heater for aquariums between 20-35 litres comes with a one year manufacturer warranty and features a simple-to-use temperature setting scale. Make sure heater remains submersed at all times. 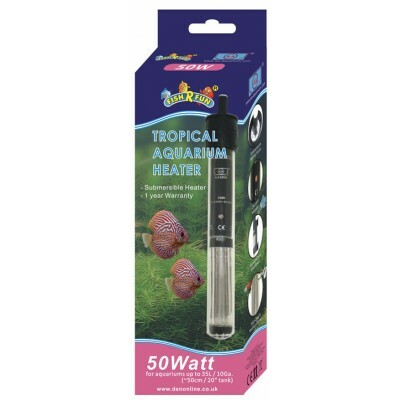 Unplug all appliances in aquarium before placing hands in water. The Fish R Fun 25 Watt Tropical Aquarium Heater co.. 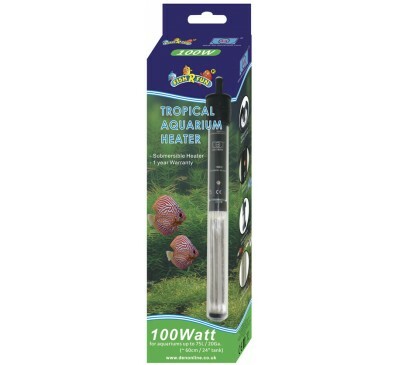 The Fish R Fun 100 Watt Tropical Aquarium Heater f.. 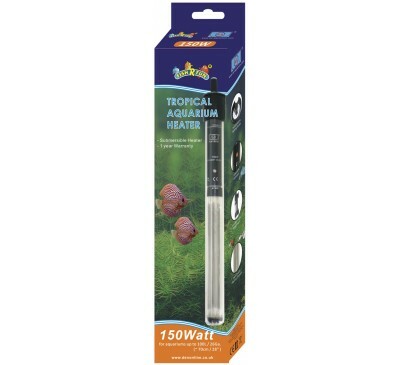 The Fish R Fun 150 Watt Tropical Aquarium Heater f..